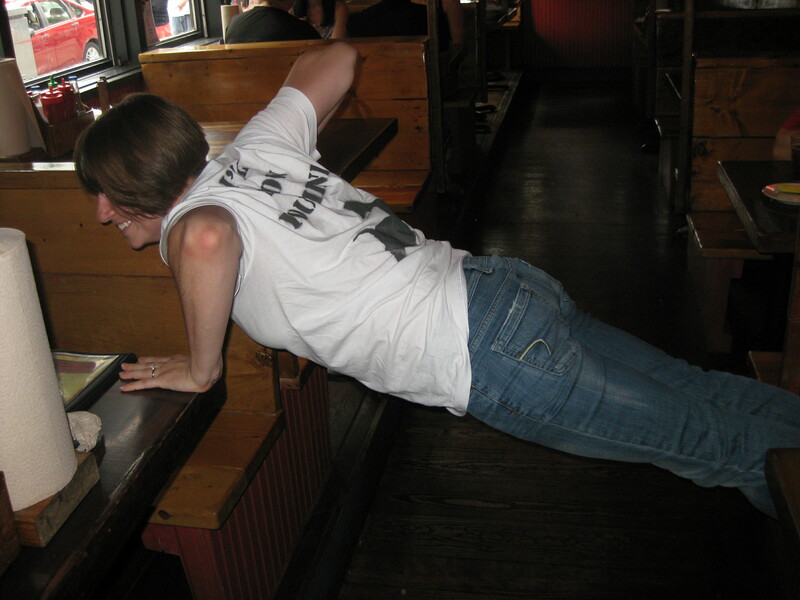 So we made good on our vow to do push ups around Boston and start the Man Bicep push up trend! Here are some pictures we took while celebrating Candy’s birthday! The first one of the day was done by Candy on the MBTA. Rocking the MB shirt AND receiving compliments about her perfect push up from men on the T.
Next we stopped at a candy shop called Sugar Heaven on Boylston St. Brian wanted to show Candy a shirt he had considered buying for her as a joke. 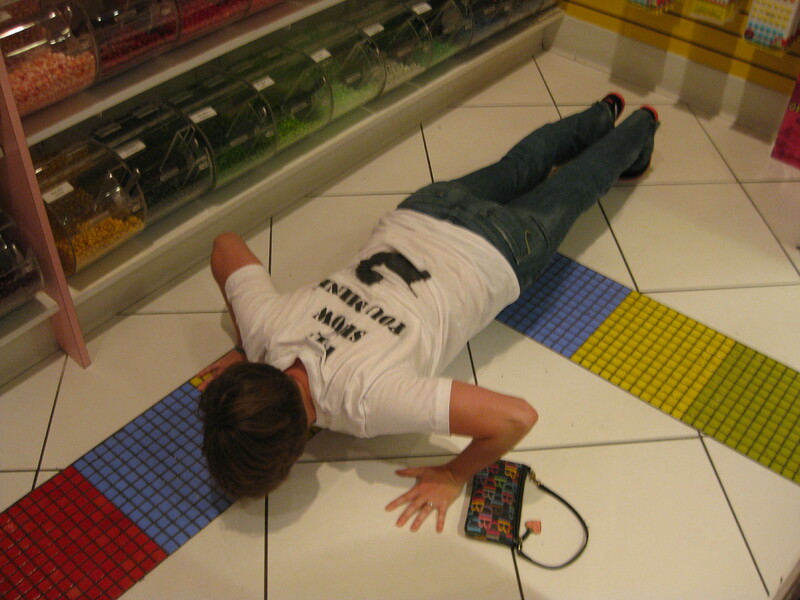 A nice deep push up right by the M&Ms. Not something they often see in a candy store. The next one we snapped was not in the most hygienic place…. Don't worry...there was lots of hand scrubbing afterwards. We then took a nice walk to a bar called Whiskeys. Where I did a nice push up between booths. A nice wide grip push up. A slight incline so easier than some that we did later. Candy figured out a way to make the booth push up harder by putting her feet on the back of the booth. Notice the very impressed guy in the background. We then had to get our Man Bicep Coach involved. 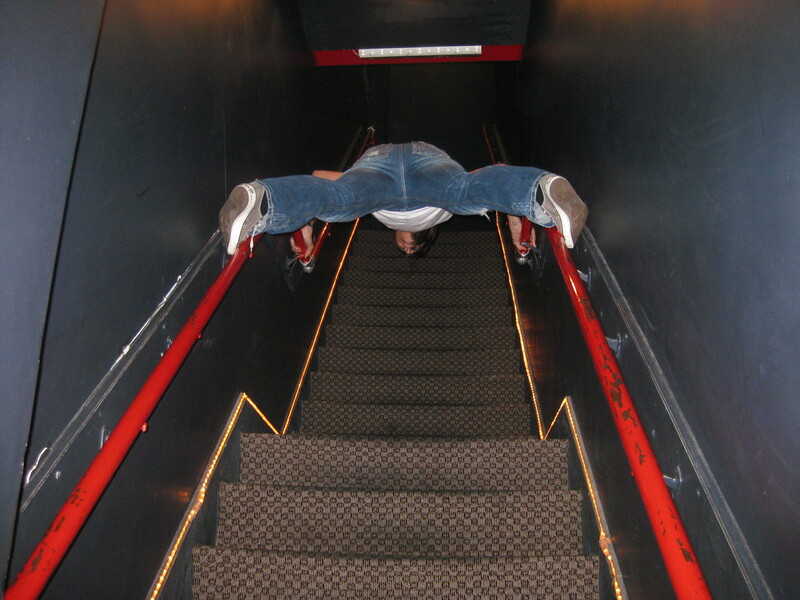 He did a very impressive weighted push up outside of the restaurant. 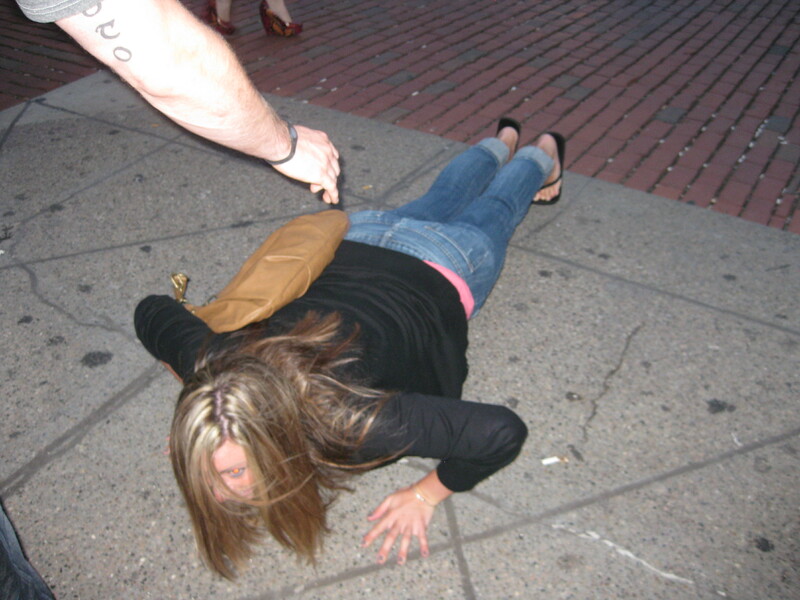 Next we met up with a co-worker who we convinced to do a push up on the street. A homeless woman was so impressed that she walked up and gave Alyson a hug before anyone knew what was going on. She didn't even falter when Brian through a purse on her. Our next stop was Rattlesnakes’ roof deck. Candy pulled off a staircase push up. I think the hardest part of this push up was getting up there. After that failed push up attempt, I did a decline push up from a bike rack. Brian decided it wasn’t hard enough and push down on my back for added resistance. Mid push up...on the way back up. We had a lot of explaining to do to be allowed to do this one! 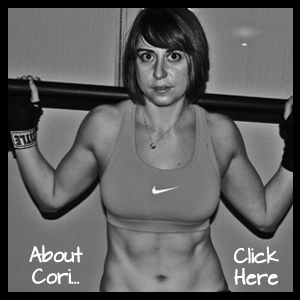 Posted on September 25, 2011, in Man Biceps, Play and tagged Boston, Boylston Street, MBTA, Pizza shop, planking in random places, planking trend, Push Ups, Rattlesnake, Sugar Heaven, Whiskey's. Bookmark the permalink. 2 Comments. I love all the push ups! What fun!